Our newest escape challenge… just in times for the holidays! Journey on the Nautilus will take its final voyage! The submarine vessel, Nautilus, is about to take its final journey. This fun room is retiring to be re-imagined into a new exciting and challenging room. 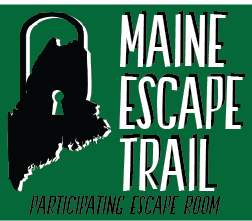 We'll be taking our mobile escape room over to Molly Ockett School in Fryeburg, Maine to challenge the 8th grade. Will their teamwork prevail? Check out Immunity Quest - Nov. 11! Immunity Quest, our mobile escape room, will be available to play on-site on Saturday, November 11. Make it part of your holiday weekend plans. Play one of our most successful rooms, before it is retired to be re-imagined into yet another super, new theme. Mystery NH is pairing up with The Thorn Hill Inn in Jackson to present a Mystery Weekend. Are you up for a different type of mystery? Our mobile room, Immunity Quest, will be available to play. Join us at The Back Burner Restaurant in Brownfield, Maine for local crafters, vendors and unique brews from Saco River Brewing Company. Live music with "Me & My Uncle". BBQ and other delicious offerings will be available for purchase. Join us in our new mobile escape room, Immunity Quest! Scotland Yard is calling... Sherlock Holmes needs your help! The Hurricane has been raging for quite some time now, but it looks like it is winding down. Journey on the Nautilus opens! Our newest themed escape room adventure opens for play! NEWEST ROOM OPENS - WANDERING WIZARD! !